Motherwell have signed Livingston’s centre back Declan Gallagher on a pre-contract. The big defender has a few months left at Almondvale before he moves to Fir Park as part of Stephen Robinson’s plan for next season. Press reports of a contract offer have proved to be correct and confirmation of the 6’5” 28 year old stopper’s signing has been announced on the MFC site. Livingston fans were aware that he would be moving on at the end of his current deal and many will regret his departure. He had a couple of seasons with Dundee and was ever constant in their promotion season, 2013-14. Two spells at Livingston were interrupted by a spell at Her Majesty’s pleasure following a conviction for serious assault. He has racked up over 150 appearances for the West Lothian club. 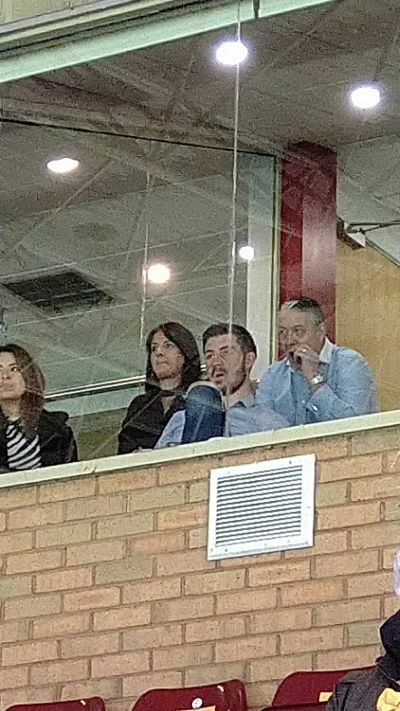 Declan was an interested spectator at the back of the Cooper Stand on Sunday.